Contact Carriage Hill today to schedule a tour! 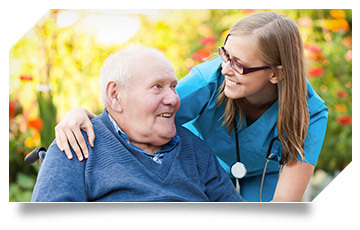 Download our Guide to Assisted Living in NH! Carriage Hill: From our family to your family, this is home. 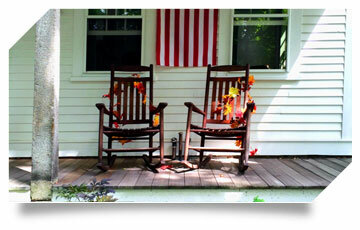 See what our residents are saying about living at Carriage Hill! 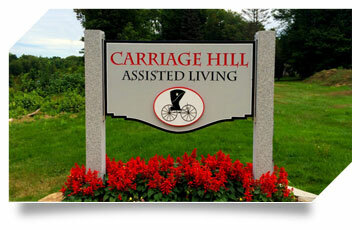 Compared to other homes for assisted living in NH, Carriage Hill is quaint and cozy. Just 24 people can call Carriage Hill their home. Carriage Hill is personal, friendly and a place where everyone –from caregivers to the people who live here–feel very much at home. Our carriage display has been completed! It features a Doctor’s Buggy, the carriage depicted in our logo. The display will showcase a seasonal rotation of carriages and sleighs built or restored by the owners’ grandfather. There’s a lot of information to explore when choosing a place for mom or dad to ensure that it’s a perfect fit. Use our thorough and highly informative guide to help you make important decisions about your needs and what our assisted living facility in New Hampshire offers. We are proud to announce that Carriage Hill Assisted Living has been selected as one of the 2017 Best of Assisted Living Award Winners on SeniorAdvisor.com. This exclusive award honors the top one percent of senior care providers across the United States. SeniorAdvisor.com’s Best of 2017 Award winners represent the best of the best of in-home care, assisted living, and other senior living providers, based on the online reviews written by seniors and their families.